I had to wait a few days after reading Dear Dad to write my review; the book is so poignant and heartfelt that it simply took my breath away. It's such an unusual idea for a story and with three strong, likeable characters it works so well. I completely bought into the story and really felt that fate had a hand in the lives of Nate, Jenna and Adam. Adam is a 9 year old orphan living with his Nan. One day his Nan gives him the address of his Dad, so Adam writes a letter and posts it through his letterbox. Nate is the recipient of the letter only he's never met Adam's Mum and he's never fathered a child, but there's something about Adam that stops Nate from throwing a bucket of cold water over Adam's dream of finding his Dad. Nate is a war correspondent but, after some traumatic experiences, is afraid to leave the house. 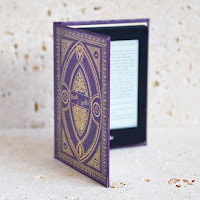 When Adam's letter drops through Nate's door he can't face setting off to find Adam to explain the mistake, but fate soon brings Adam back to Nate's door. Before Nate has a chance to tell Adam that he's not his Dad, Adam tells Nate about some boys who are bullying him. Nate agrees to go to the school parents' evening to discuss the bullying, now he just has to get over his fear of leaving the house! Adam has such an effect on Nate that he does overcome his fear and makes it to the school, albeit a little late, where he meets Jenna. Jenna is Adam's temporary teacher and is one of the first people to notice Adam, a big occasion for Adam as he has never been noticed before. Jenna is struggling after a bad break up and everything in her life felt temporary to me. Jenna doesn't want to be hurt again but when she meets Nate through Adam she can't ignore her feelings. The only problem is that Jenna thinks Nate is Adam's Dad and this lie is hanging over Nate's head like the Sword of Damocles. How will Jenna react when she finds out the truth? The chapters flick between Nate and Jenna giving us the perspective from both sides and it works brilliantly. Giselle Green has written Dear Dad in such a way that I felt like I had the privilege of looking right into Nate and Jenna's souls. I knew what they were thinking, their hopes and dreams, their fears and doubts and their growing affection for Adam. The final chapter is written from Adam's point of view and finishes off the story magnificently. I couldn't help but fall in love with young Adam and I missed Nate, Jenna and Adam from the minute that the last page was turned. With Dear Dad being her sixth book, I can't believe I haven't come across Giselle Green before now. I shall certainly be adding more of her books to my must read list. 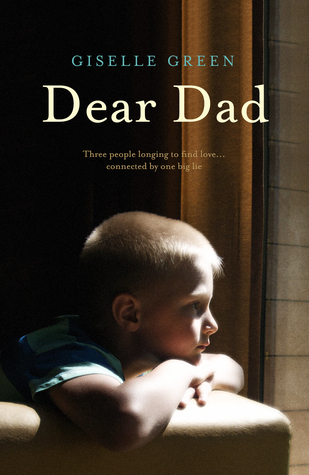 Heartfelt and poignant, Dear Dad is a wonderful book that will melt even the coldest heart. It's so unusual and unique covering so many difficult issues in a sensitive and respectful way, whilst also reminding us of the true meaning of family. This is storytelling at its best!